Repeat clients automatically receive loyalty discounts once the minimum expenditure has been reached. Discounts are then applied to all documents submitted to Proof-Reading.com. 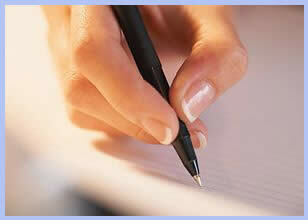 All clients receive the same high-quality editing and grammar checking. Clients are provided much more than a cursory grammar check. Proof-Reading.com editors correct grammatical errors, including punctuation, verb tense, spelling, and sentence structure. Documents are edited for clarity and flow, ensuring readability by your target audience. Every document proofread by our editing staff is carefully examined to eliminate ambiguity. Proof-Reading.com can edit most written documents in most formats, including Microsoft Word, Excel, PowerPoint, Portable Document Files (PDF), and Rich Text Files (.rtf). We appreciate the loyalty of all of our clients and will continue to strive to satisfy the editing and proofreading needs of all of those who submit documents to our editing service. Proof-Reading.com is committed to providing excellent customer service. Our mission is to provide the highest quality-editing services available.